There's nothing I look forward to more than the small amount of time I'm able find each weekend to prepare and photograph a recipe to share here on Kitchen La Bohème. It's the one part of my week where I'm able to forget about all responsibility for a few hours and do exactly what I love the most, and that makes me really happy! This weekend I found myself making sauces and sundaes again — I'd wanted to get rid of some extra fruits in a creative way before they started to go bad. 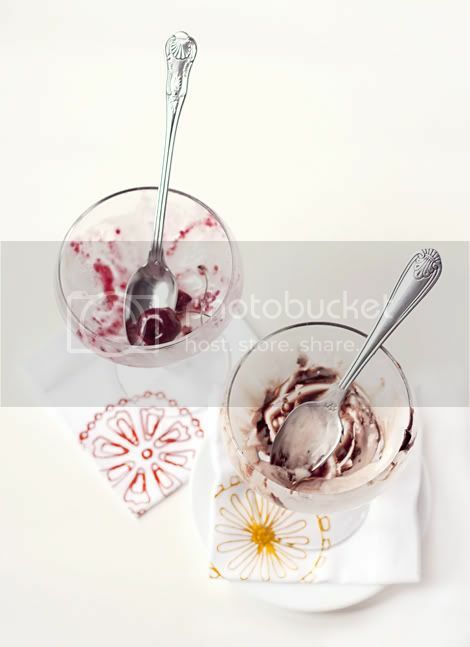 The plan was to show you sundaes three ways, but time only allowed for two: Warm Cherry Malbec Sauce, and Raspberry Hot Fudge Sauce. 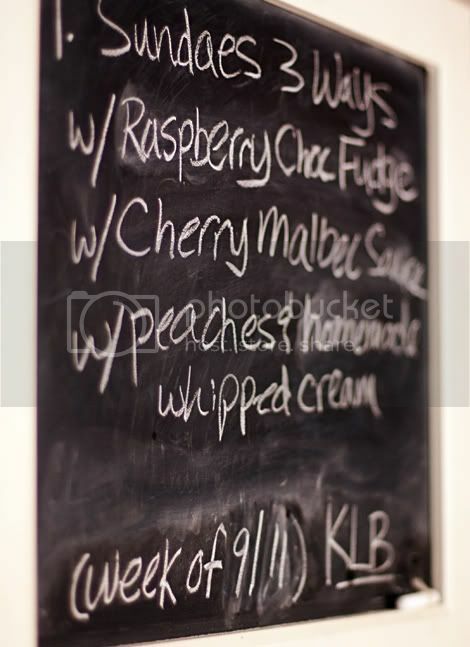 Come back next week for the third sundae topping: Peaches and homemade vegan whipped cream. If you're not vegan and prefer dairy ice cream as the base for your sundae, you'll still love these sauces — they're a much better, all-natural alternative to store-bought sundae sauces. It's so satisfying to know exactly what ingredients have gone into the sauces or condiments in each dish you prepare and serve. Store-bought sundae sauces are full of unwholesome additives; and vegan or not, consuming them is definitely not a healthy choice. While the following recipes do contain sugar and are still meant as a once-in-a-while treat, they're sooooooo much better for you than store-bought options! My hot fudge sauces are always vegan — made with soy creamer and/or cashew cream. If you're an omnivore, vegetarian, or just aren't ready to be fully vegan quite yet, substitute dairy cream. And if you're not feeling the wine in the cherry sauce, simply omit it! 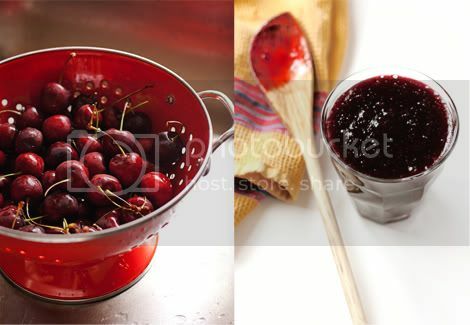 Prepare the Cherry Sauce: Place pitted cherries in a medium saucepan with sugar, water, Malbec, and salt. Cover, and bring to a boil. Reduce heat and simmer for 5 - 8 minutes. Blend cornstarch with water; add to cherries and cook, stirring occasionally until cherries have cooked down and sauce has thickened to desired consistency (about 10 - 20 minutes). Transfer to a blender and pulse a few times to fully break down fruit. Transfer to a dish and cover with plastic wrap to keep warm until ready to serve over ice cream. 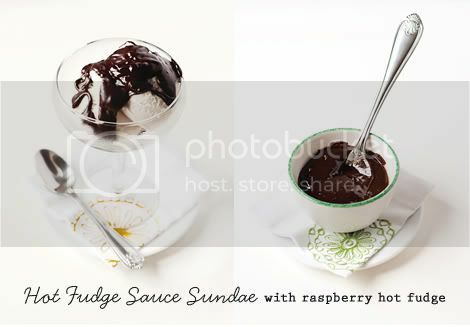 Prepare the Hot Fudge Sauce: In a medium saucepan over medium-low heat, stir together soy creamer and brown sugar until incorporated and just about to simmer (you'll start to notice small bubbles forming around the edges of the saucepan). Turn off heat and add chocolate bar pieces and chocolate chips. 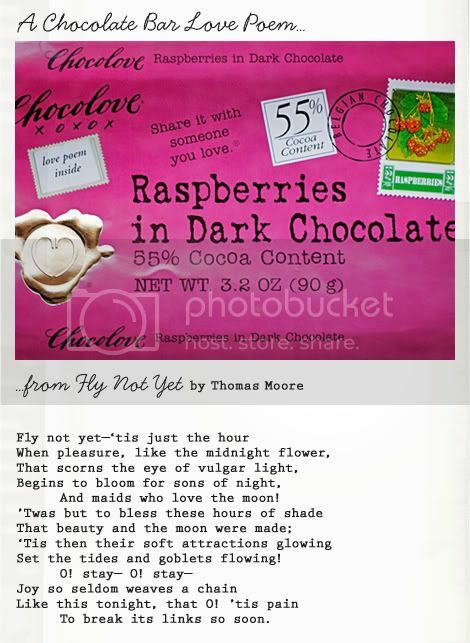 Allow chocolate to sit in the hot creamer to melt for a few seconds, then stir until fully incorporated and smooth (if you're using Chocolove's Raspberry bars, you'll see some tiny raspberry pieces in your sauce — and be sure to read the love poem included in the chocolate bar packaging). Add the raspberry extract and stir to incorporate. Transfer to a dish and cover with plastic wrap to keep warm until ready to serve over ice cream. 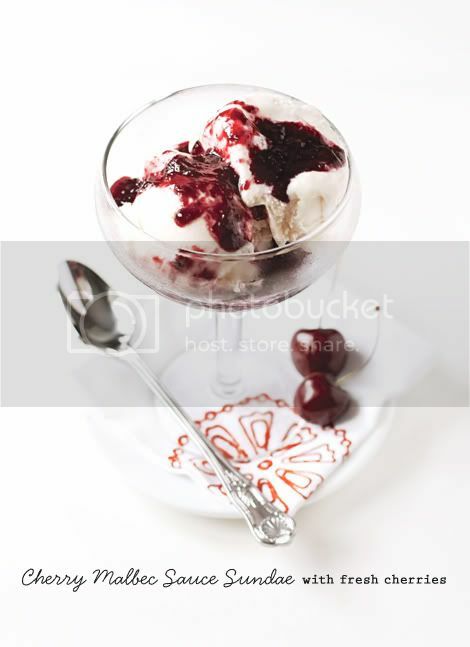 Top ice cream with a generous helping of Warm Cherry Malbec Sauce or Raspberry Hot Fudge Sauce, add a spoon, and enjoy!